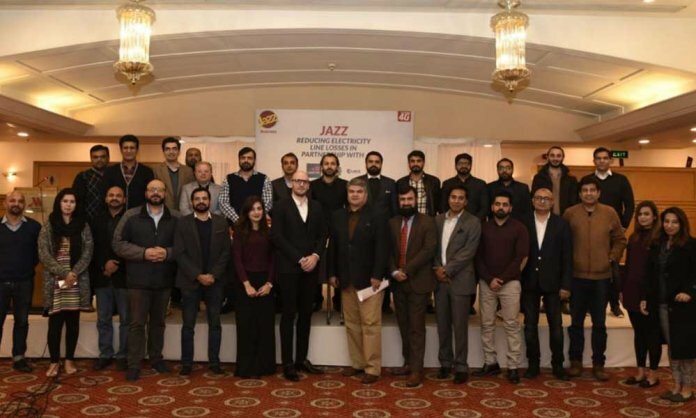 Jazz, Pakistan’s leading digital communications company, has been awarded the prestigious GSMA Mobile for Development Utilities Innovation Fund, launched in June 2013 to test and scale the use of mobile to improve or increase access to energy, water, and sanitation services. The grant was awarded to Jazz’s for their “Energy and Line Losses Reduction in Pakistan” idea in collaboration with Centre for Intelligent Systems & Network Research (CISNR) & Peshawar Electric Supply Company (PESCO), which uses an indigenous solution developed by their partner, CISNR, to address the biggest issue being faced by local power distribution sector; line losses and electricity theft. Jazz has been successful in securing the seed grant after an extensive evaluation and due diligence exercise carried out by GSMA among multiple organizations from various markets. Not only telecom operators but technology innovators and development organizations from Africa and Asian regions were part of the competition, as well. Jazz aims to ensure that the digitization of these utilities improved the quality of life for Pakistanis. The solution utilized the connectivity provided by Jazz to remotely monitor and manage distribution boxes, transformers and grid station feeders to ensure a more efficient and precise process that identifies points of failures, faulty lines and theft locations. The seed fund is to be used to source and install the devices in selected subdivisions of PESCO. CISNR will be responsible for the device units (Transfocure and Electrocure), whereas infrastructure hosting and connectivity would be provided by Jazz. In addition to this, it will also address challenges such as load management at the transformer level and consumption wise distribution in order to optimize the distribution network. Successful execution and scale through this grant will surely prove to be a strong case for all other distribution companies, which are still not able to come up with a standardized solution to address the on grid-power distribution issues in Pakistan.